In my house, we begin the week with what we call 'Monday night trash'. After the effort of that first day back at work each week, we like to settle into the couch with some simple carbohydrates and some undemanding viewing. Over the years, Geordie Shore, The Only Way is Essex, Ex on The Beach and Are You The One? have all been part of the weekly indulgence. Most recently it was Lindsay Lohan's Beach Club - which sees the notorious party girl audition VIP hosts for her Mykonos property - but we quit watching after just a handful of episodes. Some trash is just too trashy. Despite its resurgence and immense popularity, Love Island was never one of my trashfest favourites. I could claim that it's because I use the rest of the week for more erudite programming, but the truth is that, much like with I'm A Celeb…, I've never been able to properly commit to shows that air on multiple nights in a week. If that's a long-winded way of establishing my viewing credentials, it's because I want to make it clear that I'm not some judgmental snob, but rather an enthusiastic audience member when I ask the following question: Is it time that we consigned trash TV to the bin? 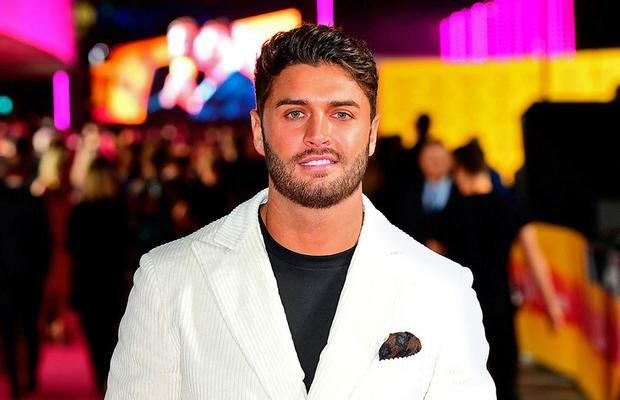 Even those with more scholarly tastes in television will be aware that Love Island is in the headlines this week following the death of 26-year-old former Islander Mike Thalassitis. His body was found in a park in North London last weekend with no foul play suspected by police. Mike had gone on to take part in other reality TV shows including Ex On The Beach, which will now not be screened by MTV. Another former Love Island contestant, 32-year-old Sophie Gradon, was also found dead last year (three weeks after he discovered her body, her 25-year-old boyfriend Aaron Armstrong subsequently took his own life). On Tuesday of this week, the Love Island programme makers released a statement saying that Mike's death had sparked a period of 'soul searching', the result of which is a vow to improve the standards of care given to the show's contestants. Aftercare, in particular, is to be increased, and there will be additional advice and training provided in the areas of social media and financial management. Having consulted with my own friends this week, there seems to be two main schools of thought on this. Some people agree that the series creators need to up their care of the ordinary and arguably vulnerable people that they shove into the spotlight. Others say that, in 2019, the fame-hungry contestants know exactly what they are getting into, and that with the potential rewards comes potential trolling. But is there a third party that needs to take some responsibility here - us, the viewing public? While I'm not questioning the motivations of the Love Island programme makers, who I'm sure are sincerely focused on the welfare of their contestants, there's no denying that their statement also served to tackle a wider problem. Have they done enough to allow the audience to continue watching Love Island without feeling uncomfortable? Knowing the tragic fate of some of the former islanders, will we still be able to suspend disbelief and think that it's all just a bit of flirty fun? Will 3.4million people tune in, as they did in 2018, reassured by the promises that the stars will be properly cared for? Looking beyond Love Island, can we guiltlessly continue to encourage people to get drunk and naked and aggressive on television? Reality television and its constructed situations are such a pervasive and familiar part of our culture that it can be difficult to separate the entertainment value from what is, well, the reality for the people who take part in these shows. Try to take a step back and think about it for a minute: if your friend or sibling or child wanted to take part in an event or a sport that involved having extensive medical and psychological testing beforehand, close monitoring throughout, and aftercare in the years to follow, would you encourage them? Or would the potential for lasting damage raise some red flags? For me, the red flag has been raised this week, not by the gaps in care given by ITV to its Love Island contestants but by the details in its statement about the amount that it already provided. Now that I've had a glimpse behind the curtain, can I keep watching trash TV and not feel some responsibility towards the people potentially exposing themselves to lasting damage for the sake of my entertainment? The answer is no. Monday night board games anyone? By Alex Green, Press Association A 30-year-old film graduate who worked for a grime music website has been announced as the latest presenter to join Blue Peter.